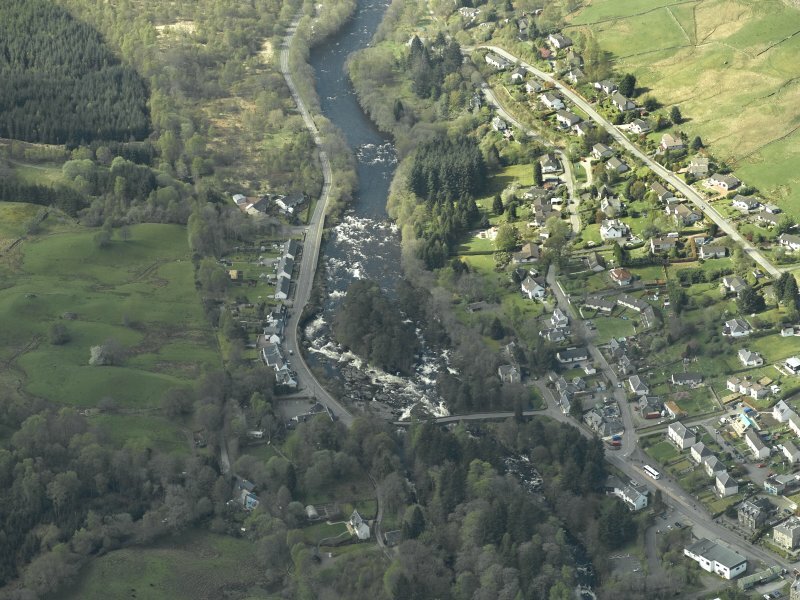 Oblique aerial view of the village centred on the road bridge, taken from the NE. 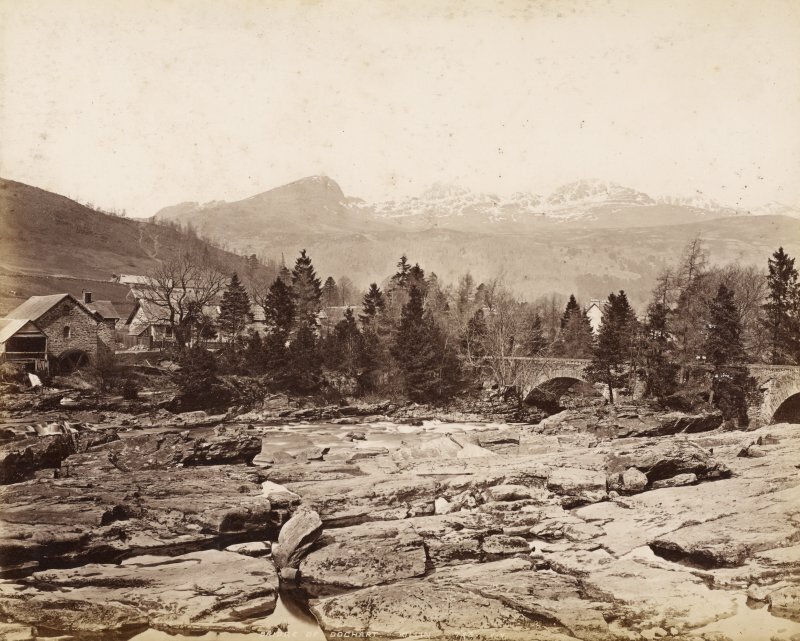 General view from S. Titled: 'Near Killin, Perthshire'. (Location cited as NN 571 323). 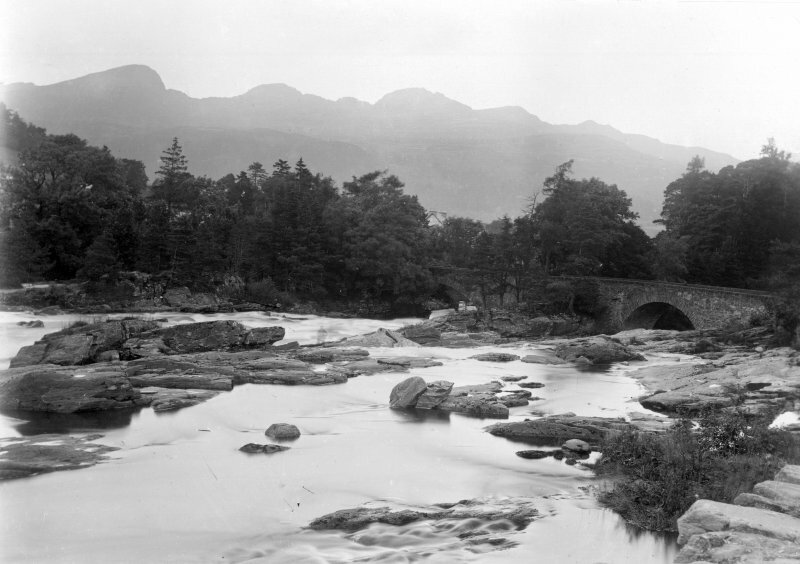 Bridge of Dochart, Killin, built 1760, part rebuilt 1831. An unusual 7-span masonry bridge with four main arches and seven culverts. This bridge carries the A827 public road (which here forms Gray Street) across the River Dochart immediately downstream (E) of the Falls of Dochart and on the S side of Killin village (NN53SE 37). An archaeological watching brief was conducted during the installation of floodlighting, and attendant cable trenches, for the Dochart Bridge. All work took place outside the scheduled area and no features of archaeological interest were encountered. Information from Headland Archaeology Ltd report (MS/899/46), .